Friesland (known in Frisian and officially as Fryslân) is one of the 12 provinces of the Netherlands and has already existed for more than 2000 years. The Romans were the first tourists and were extremely impressed by what they found... as you will be too! Over the centuries, Friesland has developed into a unique area of the Netherlands. Nowhere else will you find such a wide variety of landscapes, cultural history and leisure opportunities in a single region measuring just 100 km across. • An extensive system of waterways that links all the lakes and historical locations. 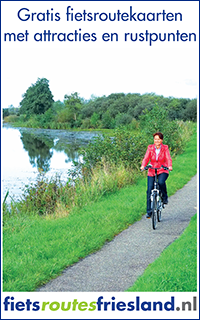 • Four sailing and fishing areas: inland waterways, the IJsselmeer, the Wadden Sea and the North Sea. • The largest fleet in Europe: traditional sailing ships, (motor) yachts, open motorboats, open sailing boats, fishing boats and ships designed for cruises and sea fishing. • Separate roads and paths for cyclists and motorised traffic. • Islands in the North Sea with huge beaches. • All manner of active and passive leisure activities on land and water, even during the winter! • Exceptional indoor attractions throughout the entire region. • Not only water but a great deal of green spaces such as pastures, forests (in the south) and nature reserves. • Clean air brought in from the sea. • Environmentally-friendly business, intensive care for the environment. • A great deal of respect for the region’s own language, culture and history, as well as for those of foreigners. 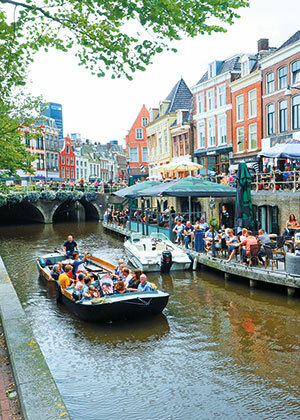 Friesland Holland offers unique holiday packages lasting several days, plus trips organised by a number of Friesland Holland partners together. 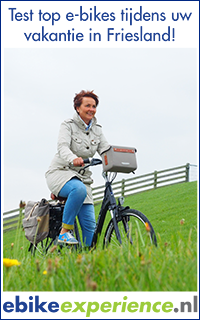 The focus in the case of these all-inclusive full-service holidays is on offering a very wide range of services such as a breakdown assistance and luggage forwarding in the case of the Elfstedentochten (11 city cycling tours).